Project Size: 4-story, 72,618 sq. ft. Element is an eco-friendly boutique hotel brand focused on a restorative guest experience. It appeals to guests who want to maintain a balanced, healthy and active lifestyle while away from home. 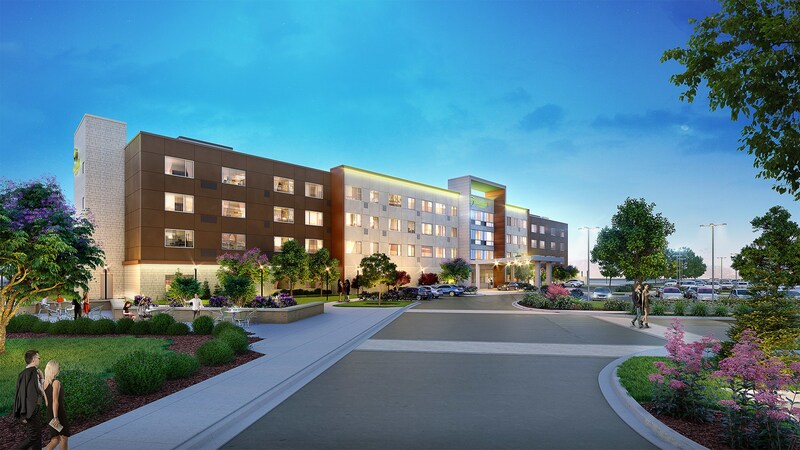 Located in the Cornerstone of Leawood in the heart of an emerging upscale lifestyle corridor, the new 100-room Element-flagged Marriott hotel will anchor the revitalized mixed-use development that is served by established restaurants and pad-site commercial properties. Each guest suite features a kitchenette, encompassed by a communal living area with a separate bedroom suite. 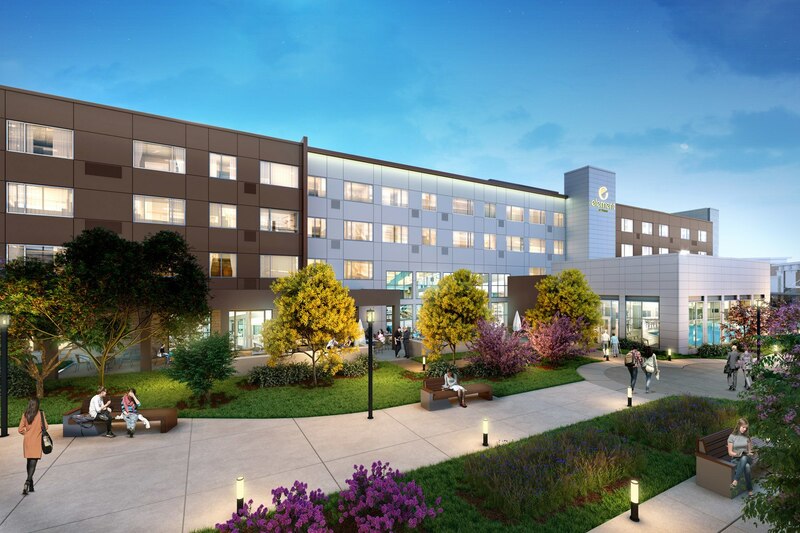 Amenities will include indoor and outdoor guest lounges, an indoor pool, fitness center, bikes and bike paths.